The 20th issue of MOCpages News! Some exciting news here folks! On the MOCpages help forum their is an ongoing push of users to get some improvements, and it has finally met with some interest from Sean! Mark Kelso has some dialog with him and they are planning to add a few more moderators to the site to take some of the load off the current mods. They are going to look into some quick fixes for the existing bugs on MOCpages. Welcome new MOCPages members wgrubbs aka Sombreroman and Thomos Cornflake Master ! Congratulations to Bobby Hunter for one year on MOCpages! You can congratulate him Here! Hey news readers! It's Daniel again, back with more contest news! The Fourth Annual Eight Piece Building Challenge's second round is on! The deadline is October Sixth, so enter; before it's too late! The MOCer Games - Summer 2017's final event has come to an end! No winners have been announced yet, though. You can click here; to see the entries. Basically any non-standard X-wing goes. So no T-65 or T-70s. You can make your own design or use an existing ship. Like the Tandom-X or the XJ X-wing. It must be minifig scale. It must be an X-wing. It must have a droid slot. Premise- Life on Mars story line where we go to Mars and meet martians. They have mechs. We come back. Humans see humans do. So build a mech that these humans would build after seeing Mars. They must have a cockpit head, two-four legs, two-four arms. They also must be modular. Mini- Alien Cruiser of some kind, must have some form of saucer in the design. This contest will be open until Christmas. Everyone who is apart of the group can vote, including those who enter. You may not vote for yourself." It's sure to be fun, so you should head on over;! HawkNinja has just started the 2017 Hero/Toa contest! In this contest, builders will be put into groups of three, and there will be five rounds, each judged by build, story, and technique. The contest will start November first, and HawkNinja states that it will be private once it begins, so join right away! As for the rules, I must say I don't know what they are... You'll just have to head on over; and find out! Lego MOContests' hasn't been very active recently, (though I'm partly to blame) and leadership of the group has passed on to myself, Supreme Chancellor Vandilor, and High Emperor Duckie. And I must say, we haven't done a great job... But hopefully we can revive the group! Click here; to help bring the contest back to life! High Emperor Duckie has started the Sci-Fi Contest Group, which will host a variety of contests... The first of which is titled "Super Heroes of the future" here's a quote from Duckie himself, about the contest... "Batman flying a Starfighter, Hawkeye firing tracking missiles from a specialized bow. These are some things we may see if super hero stories took place in the future. Build something that you may see in the future of super heroes." And there it is! You should definitely head on over; and join the fun! ~Daniel H, Contest article writer, Editor. Hi there readers! Sam K here with this weeks Forgotten gems. I�m still going with the no pictures thing, because, frankly, it didn�t go so well because someone (*cough* cough me) forgot to put links to the gems. Well, this week everything should go absolutely fine. I give you Forgotten gems! First up, we have a mech, It�s got good shaping as well as being packed with detail. I like the hands myself, as they have fingers and thumbs, all at a small size. The possibility looks pretty good too, as the mech has, what appears to be, human like pose-ability. Outstanding! Next, we have a battle station, well, a dreadsphere to be precise. Giving off a deathstar vibe, but more 80�sie, the dreadsphere looks ready for battle. I like how the thing is jam-packed with weapons, ready to obliterate anything in its path. Amazing! Thirdly, a watchpost. What I like about this build is the mountains. Instead of the conventional craggy look, this builder has gone for a different approach, using 2X2 round plates to build up the curves and shapes of the mountain. However, I could be completely wrong and these �mountains� could actually be clouds. They kinda look like they could be either, to me anyway. Fantastic! Last, we have a tank. But not just any tank, a spider tank from Terminator Genisys. This build is immense! My favourite part about it has gotta be its head. The builder has magnificently achieved the shape of the head, angling the sides and top perfectly. Wonderful! Now, as a quick after note, I�d like to ask you, dear reader, for a teensy bit of help. Have you seen a forgotten gem? If so, please pop a comment down below. Forgotten gems are getting harder to find these days, especially recent ones so you�re help would really be appreciated! Hello all, it�s Marley Mac here with your MOTW! Here are this week�s categories. Now, lets look at this week�s top five Mocs! #5: Our first Moc of the week is this awesome little firetruck built by Steven Asbury. This build obviously fits in our vehicle category and is a very detailed vehicle indeed! The stickers Steven has added really makes the build, it really adds the a nice feeling of realism while keeping a bit of the classic Lego feel. This vehicle was partly inspired by this; truck and I can definitely see the resemblance to it. 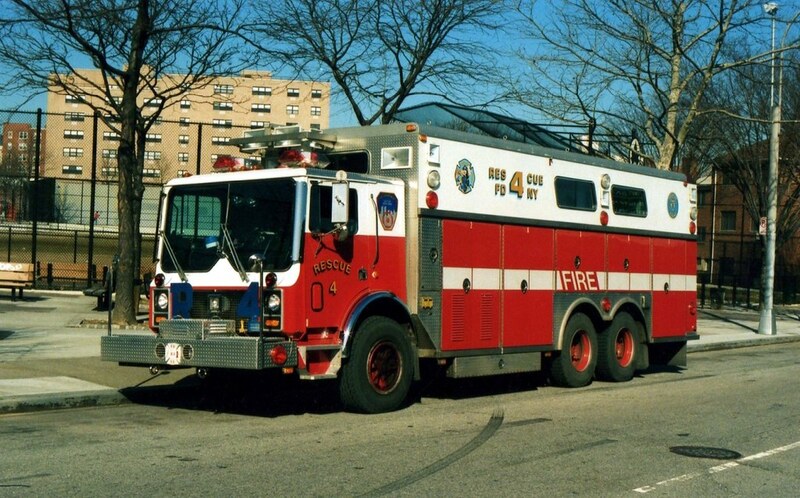 If you�re a fan of rescue vehicles and realistic representations of them I would highly recommend you check out this builder if you haven�t already. #4: Our next model is a plane built by John Lamarck, who we�ve featured in this paper before, and if you check out his stuff, you can definitely see why. This is yet another build that fits into our vehicle category, this time a Japanese WWII plane called the Ki-46 III. Like the lats build, the stickers this builder has added certainly add to the overall feel of the build and make it look so much better. It�s interesting how the simply additions can make such a large difference. Now, John was nice enough to include some reference pictures with his build and I have to say, the similarity is striking! Its defneitly recognizable and is a very well-built model. #3: Next up is yet another vehicle, can you believe it? Though this one is going into our train category. This beautiful little train was built by Benjamin Heining, a digital vehicle builder, and a ver y talented one at that! The amount of tiny details Benjamin has managed to add is simply astounding and yet it all looks very clean, it�s the perfect balance. The colours (especially for the railroad car) really feel realistic and have a nice contrast between bright and dark. Juts by looking at these pictures, you can really tell this builder knows his stuff when it comes to trains. If you like trains, definitely check him out! #2: This next creation has been built by the amazing builder The Actionfigure. Many of you are bound to have heard of him before, and with good reason, his builds, especially his animal ones, are so amazing that sometimes it�s hard to believe they�re real! This model is no different, it just looks so lifelike. This build fills our plants and animals section nicely, the subject being an octopus. It�s simply amazing how this builder can make such lifelike creature using just lego bricks, only using normal plates and bricks, not even the more complex types. All these creatures are instantly recognizable, given their aforementioned realistic-ness. If you�re a fan of this type of builds and you haven�t checked this great builder out yet, what are you doing? Go look through his builds now, you�re bound to find something you like! #1: Now, for our final build of this week, our #1 model, we have this simply amazing model by the great builder P. Andrei. While not specifically fitting into the town category, this model was too amazing to pass up, too detailed and cool looking to not include. Now, the reasons this model is amazing should be obvious just looking at the picture above. The wreckage, the foliage, even the half-buried road, it�s all simply amazing. The blending of colours in this build really give it that dark and dreary feel, and the foliage really makes it feel like something out of the Last of Us or a similar setting. This whole also seems to have an entire story behind it, the minifigures are great example of what this story might be about, and it all leaves you wanting more. I personally hope P. Andrei continues this story, even with only builds, I definitely want to see more! Thanks for reading through my section and I hope you all enjoyed it! I�ll be back to write next week�s section, see you then! Thanks for reading this weeks issue of MOCpages News! Hopefully we will have an interview for you next week, we weren't able to get one done on time this week. Coolio! you should vote on a theme, and somebody (me) can do a column on it! I would need people to give me suggestions, though, i'm to busy to research. 'bout time I started reading this. Thanks for the the information! Thanks for this, and unearthing those gems. Amazing ish! Also, next week, add on to the Brick-Built Megaman Action Figure Contest: "PLEEZ PEOPLES! I MEAN, COME ON!" Looking good! As Doug said, thanks for taking on the job of posting these Choco! Awesome! Thanks for posting Choco!